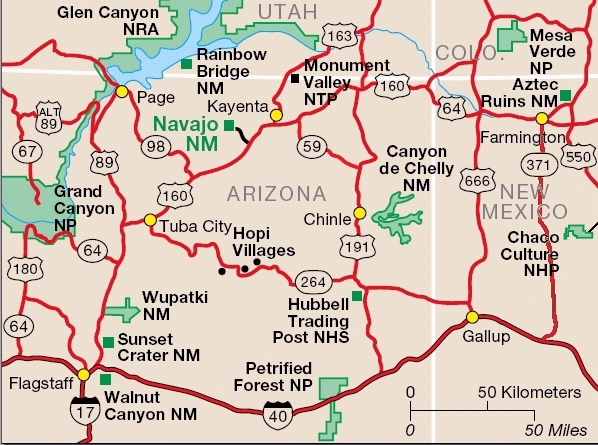 From Hwy I-40 E out of Petrified Forest/Painted Desert NP, take Hwy 191 N thru Hubbell Trading Post Nat'l Historical Site, which is a well known original trading post. Jan really liked the Hubbell's home tour, perhaps you will find it interesting as well. The trading post started in 1878 is still open for business. 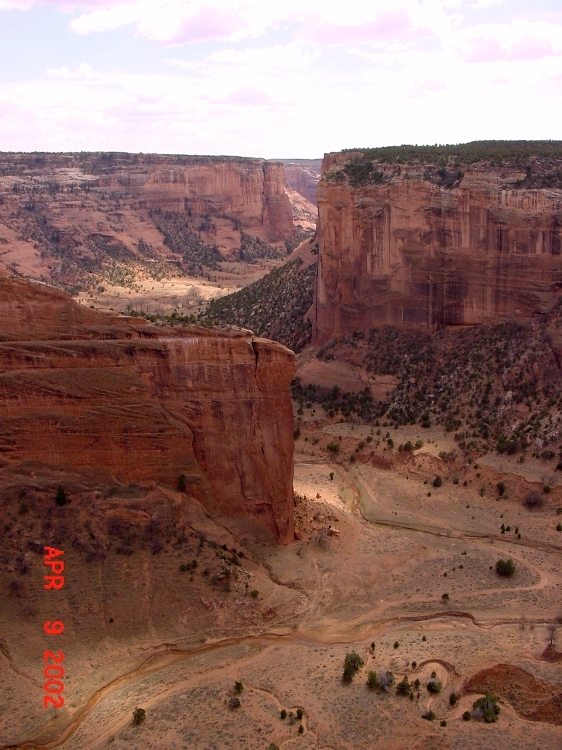 Continue on Hwy 191 to Canyon De Chelly NM. 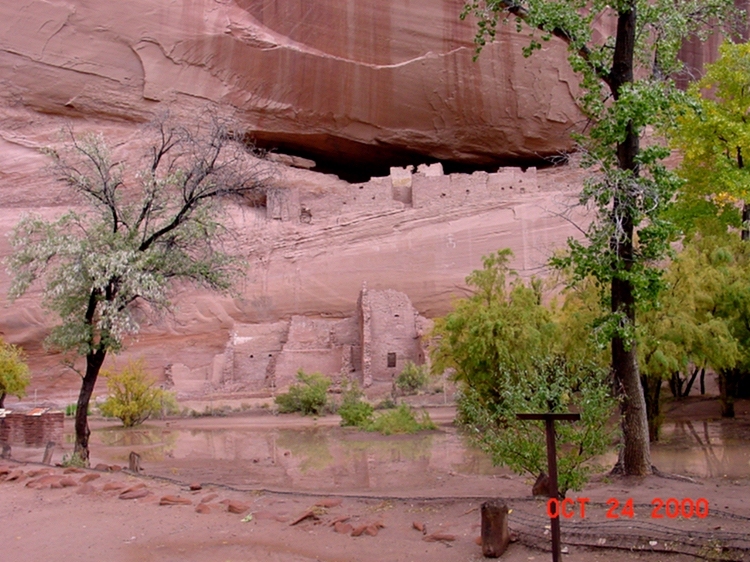 A wonderful park and it's on a Navajo reservation. 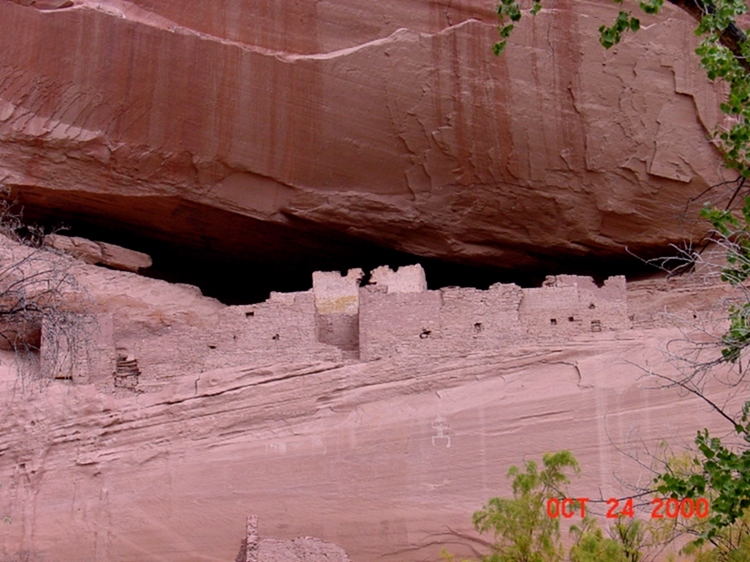 Navajo occupation occured in recent times -- they were preceded by the Anasazi who built the cliff dwellings and left about 1300. 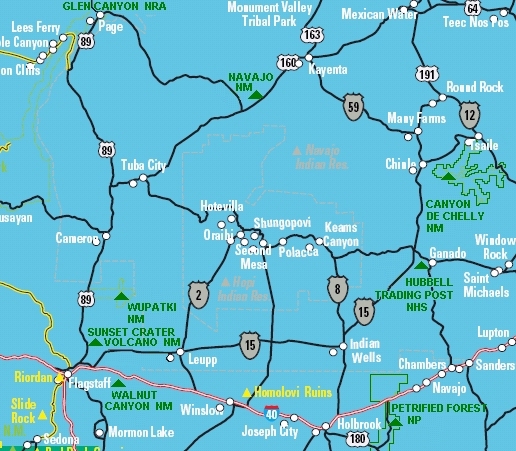 We liked the scenic canyon tour and of course the north and south rim drives. 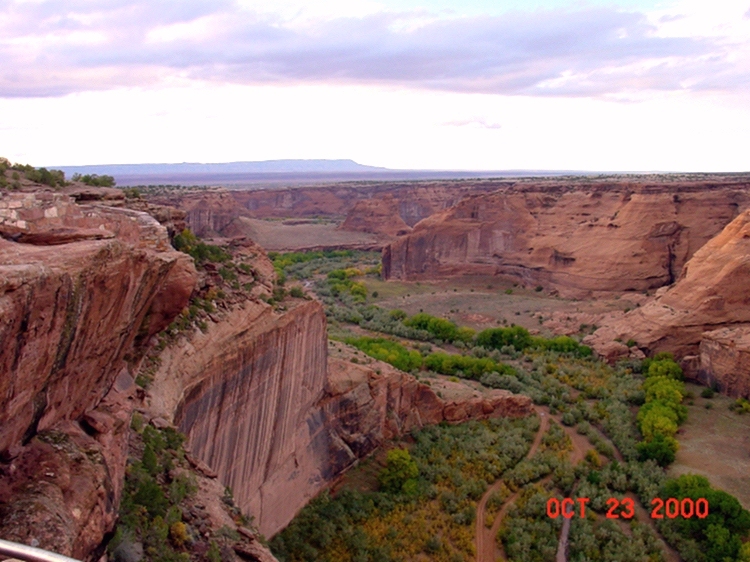 You must have a Navajo guide to go thru the canyon -- several venders around. 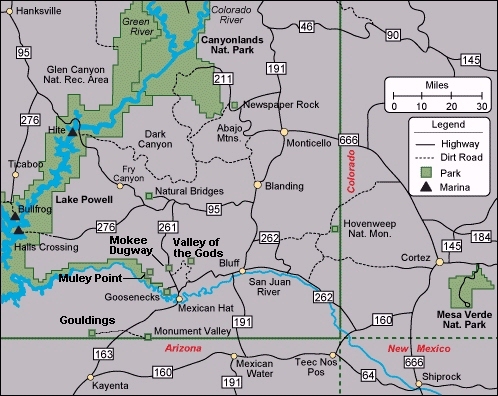 See the visitor center for info and map. Probably two days to see depending on canyon tour schedules. Horsesback riding available. Gas was cheaper on the reservations because of the lack of some state taxes. There is the Thunderbird Lodge inside the park with a Mexican restaurant that was good the last time we were there -- not too many choices in these out-of-the-way places. Modern hotel in Chinle, just before the entrance to the park -- don't know the name, maybe a Best Western. Since we camp in our motor home we don't pay a lot of attention to hotel accommodations. We camped at a free no-hookup Cottonwood Campground in the park. With all this traveling, we think it is important to take a day off every few days. Do nothing but shop, read, check email (at libraries, visitor centers if need be), organize digital pictures, do laundry, swim -- do anything that does not resemble a schedule. Our friend 'Death Valley Jud' calls this 'doing chores.' Anyway, you will go home feeling refreshed instead of being frazzled. 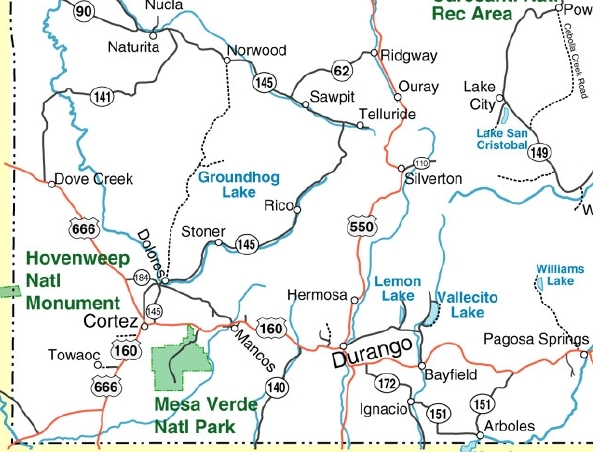 In the Four Corners map are a few parks that had less of a sighseeing impression on us then others and tend to have repetitive, cursory information for the tourist. 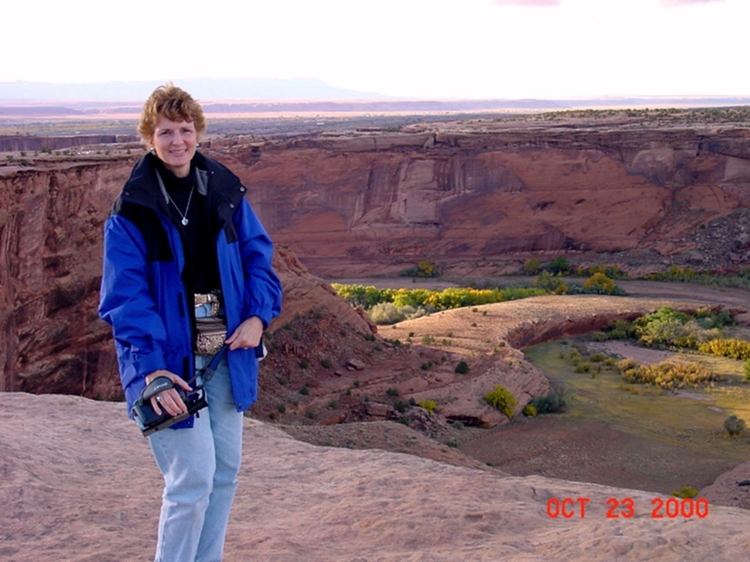 In Arizona: Painted Desert, Sunset Crater NM, Wupatki NM and Navajo NM. 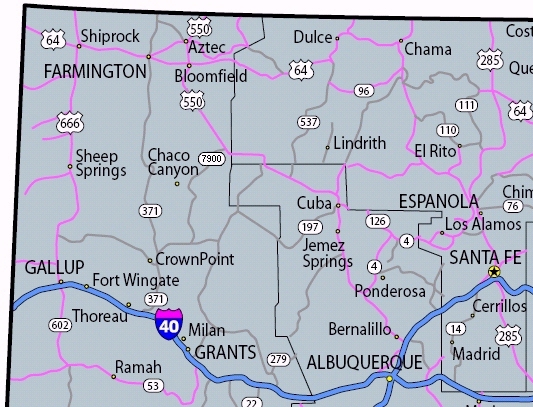 And in New Mexico, Aztec Ruins NM gets a pass.